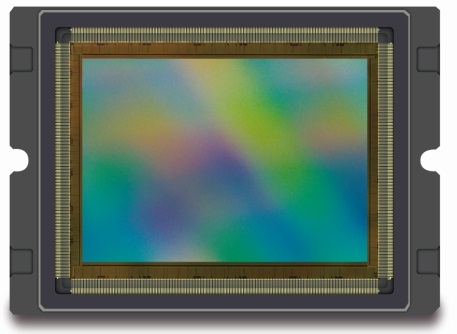 Gpixel announces a 51MP, 8424 x 6032 resolution, 35 mm full-frame global shutter image sensor. The GMAX4651 is able to capture full resolution images at frame rates of up to 80 fps in standard 12-bit read out mode and 40 fps in dual gain HDR mode. With more than 83dB DR, 1/50,000 shutter efficiency and wide angular response, the GMAX4651 is aimed to advanced optical inspection and machine vision applications (Automated Optical Inspection (AOI) and Flat Panel Display (FPD) inspection) as well as high-end 8k/4k video broadcast and aerial imaging applications. Based on a 4.6 µm charge domain global shutter technology with true CDS, the GMAX4651 delivers more than 25 ke- linear FWC and up to 50 ke- when using 1x2 binning and ultra-low noise read out down to 1.5 e-RMS. Under dual gain HDR mode, where the sensor reads out the same exposure with two different gain settings for off-chip HDR reconstruction, DR can reach 83dB. GMAX4651 mono sensor sample and evaluation kit will be commercially available in March 2019. Color samples will be made available in Q2 2019 and volume production is targeted for Q3 2019.